so weird but it does work! Overall a good product. For me the peeling lasted for almost 2 weeks and I really had to keep my feet covered as it looked less than great. Didn't really work on the rough heels. Skin felt great afterward. Worst part about this is keeping the awkward plastic booties on for 2-3 hours. I have fairly small feet and it looked, sounded, and felt like I had grocery bags filled with gel wrapped around my feet! Works......but not until day 8! Followed instructions and actually kept the masks on for three hours instead of two. The peeling didn’t start till day 8 but the results were brilliant. Worked on heels too! 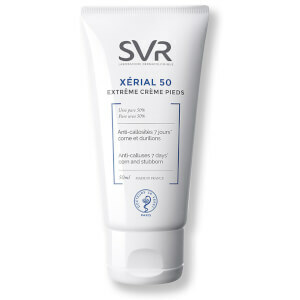 Amazing product!! 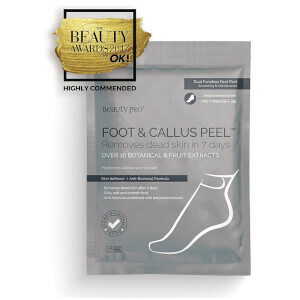 You HAVE to have the boots on for a minimum of 2 hours for the very best results - I got really good results. I have tried filing and moisturising my feet but without much improvement. So I thought lets give the peel a go! My feet were amazingly soft afterwards. 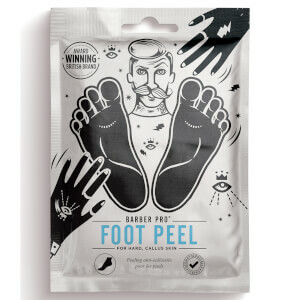 The only precaution I would give is to make sure your feet are covered during the weeks following it’s use as the peeling can look a bit unpleasant. I am definitely going to use again. I love it! Caused a light peel, very minimal, despite following the instructions to the letter. Very disappointing, I wouldn't recommend anyone waste their money. I didn't hold out much hope that this would work. However, on day 8 the peeling started, on day 9 the really tough hard skin on my heels started to peel. Im also using a foot file and moisturising but my feet are looking brand new. I'm really happy with the result and I will be ordering more very shortly.